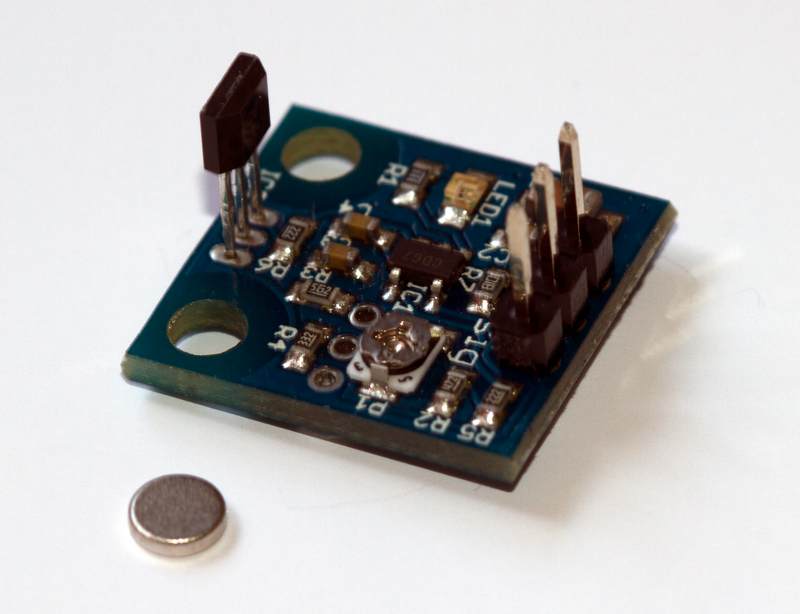 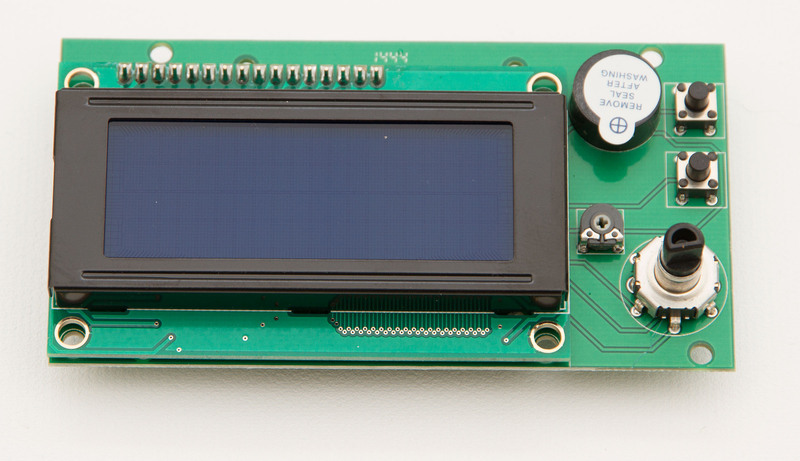 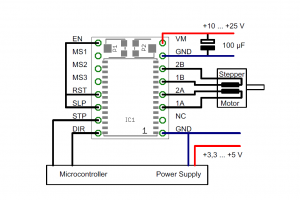 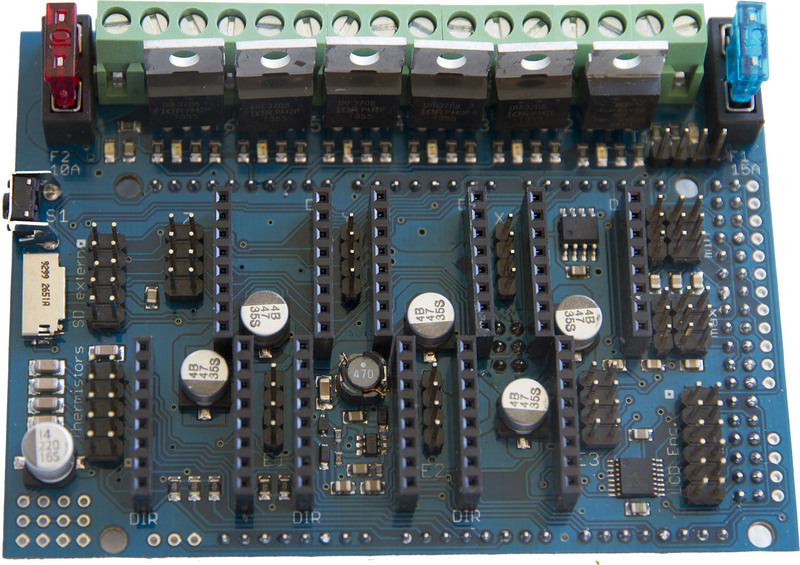 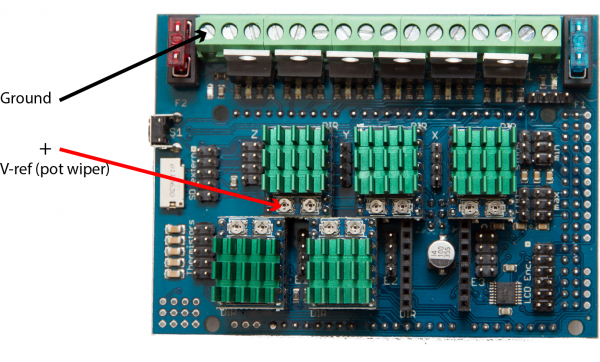 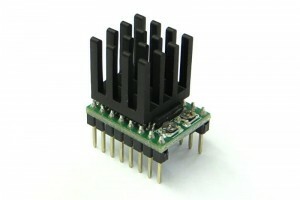 The size corresponds to the popular Pololu drivers and the pinout is compatible but not identical. 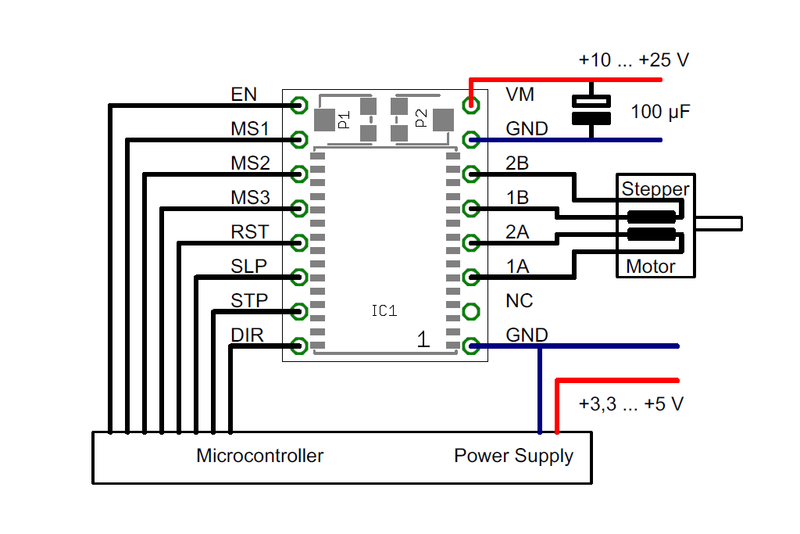 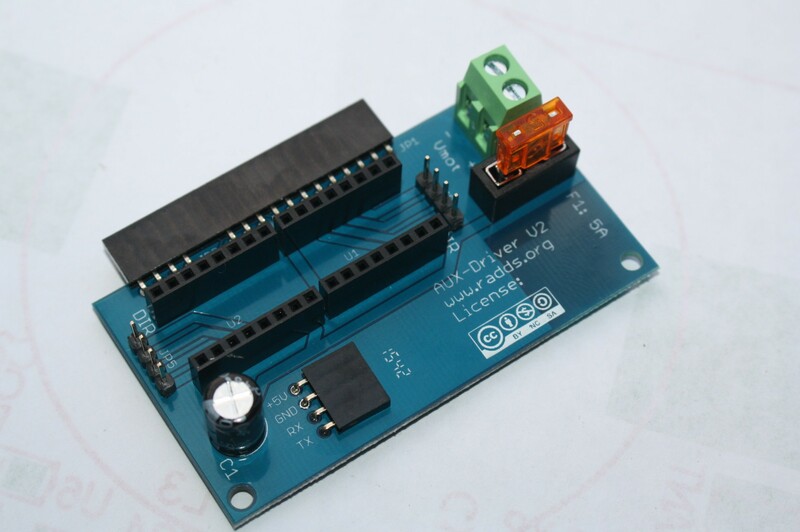 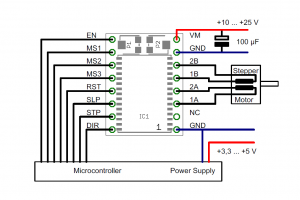 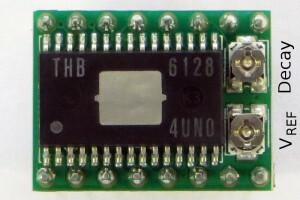 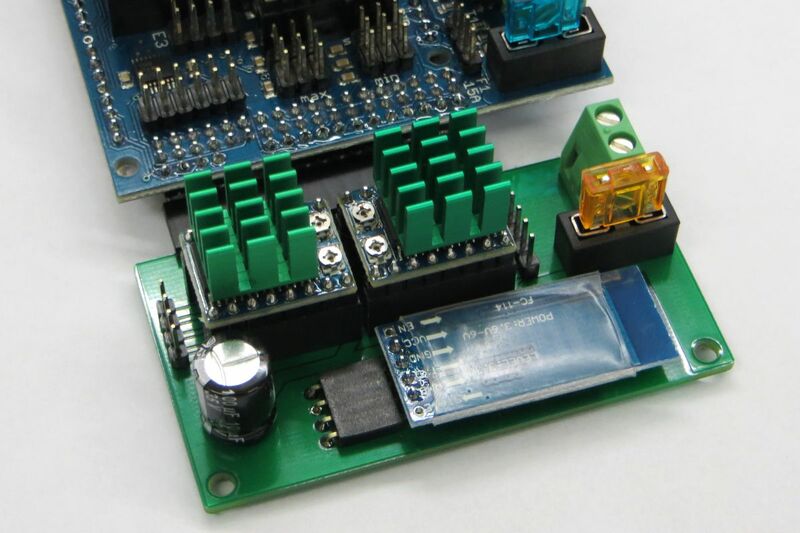 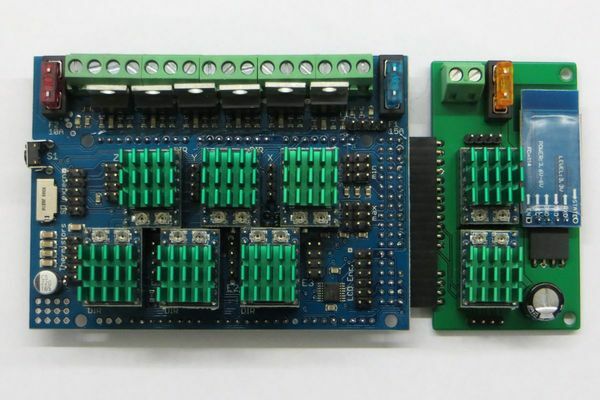 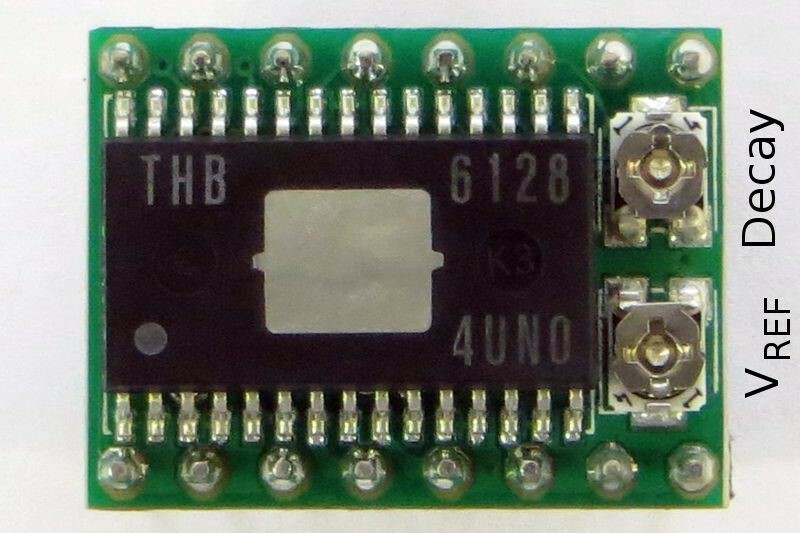 Can be used on RAMPS, rumba and other RepRap electronics, but 8-bit electronics usually are too slow for 1/64 and 1/128 micro stepping. The arrows indicate the measurement points for the reference voltage. 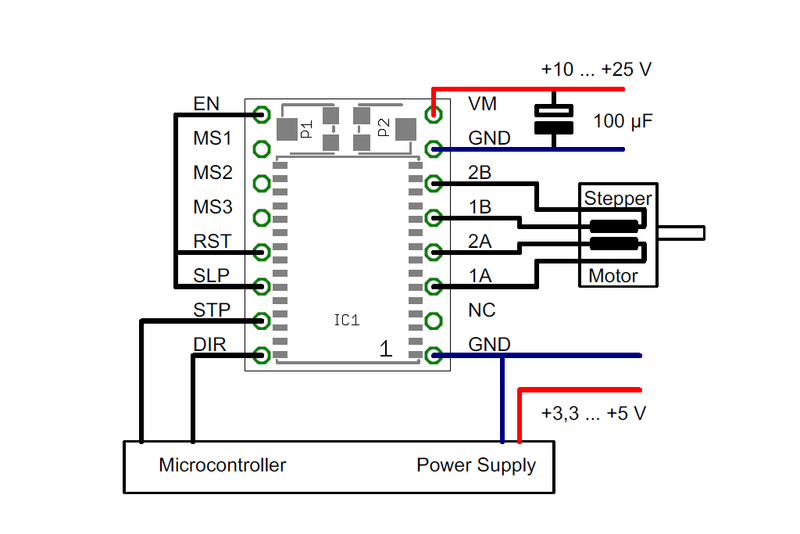 Use a voltmeter and measure the voltage between the ground terminal and the pot wiper on the driver’s v-ref potentiometer.